For the last 30 years the tax policy of governments of both hues has ostensibly been driven by the broad-base, low-rate (BBLR) paradigm. A broader tax base enables lower tax-rates. The tax debate during this year’s election therefore should address the over-taxation of savings, particularly for the over 2.6 million KiwiSaver investors, as well as how the tax system copes with change such as Bitcoin. How big is this bias? Some idea can be gauged by the net tax paid by residential property investors relative to that paid by KiwiSaver investors. 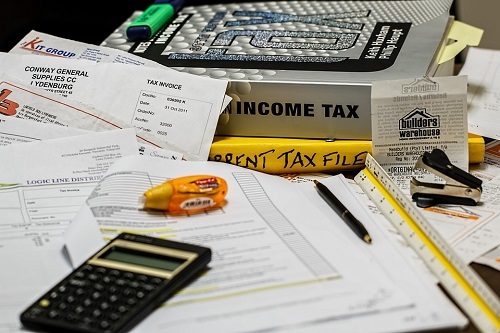 According to Inland Revenue the net tax paid by residential property investors after taking into consideration the tax effect of losses for the year ended 31 March 2015 was $177 million. Based on information supplied to the Financial Markets Authority, KiwiSaver funds paid over $222 million in tax for the year ended 31 March 2015, or $45 million more tax than residential property investors. There aren’t any clear statistics about the value of residential rental property, but in 2009 Inland Revenue provided an estimate of $200 billion to the Tax Working Group. By contrast the value of KiwiSaver funds as at 31 March 2015 was calculated at just under $28.5 billion. Therefore, not only did KiwiSaver funds pay more tax in absolute terms than residential property investors, but once the relative size of the asset bases are taken into consideration, KiwiSaver investors are paying maybe nine times as much tax. The main reason for this huge discrepancy is that the unrealised capital gains of KiwiSaver funds are taxed because of the application of the financial arrangements and foreign investment fund regimes. KiwiSaver is now 10 years old with over 2.6 million KiwiSaver members. KiwiSaver funds will come to represent the only major asset for the growing number of people locked out of an unaffordable housing market. Politically, a storm is brewing between those relying on KiwiSaver to build up a retirement nest egg but paying significant amounts of tax as they do so, and property owners enjoying substantial tax-free gains. Proponents of compulsory KiwiSaver membership will need to address this issue to avoid severe political fallout in the future. If the current tax treatment of savings means KiwiSaver investors are getting a raw deal, the arrival of Bitcoin and other cryptocurrencies such as Ethereum and Ripple illustrate how the present tax system has its struggles adapting to a fast-changing economy. There are now some 900 cryptocurrencies in existence and the current market valuation of the top 100 cryptocurrencies is over US$156 billion. Bitcoin investors have seen some huge price appreciations in a very short space of time: the price of a single Bitcoin has gone from US$120 in August 2013 to US$4,348 as of last week. Ethereum investors have experienced even more dramatic growth: from US$2.83 (yes, two dollars eighty-three cents) in August 2015 to US$333.89 last week – a 118-fold increase. Whether these dramatic gains will continue remains to be seen but cryptocurrencies are going to play an increasing role in the world economy in the years ahead. And their impact is not necessarily just financial. Currently, the worldwide electricity consumption spent on mining Bitcoin is about 16 terrawatt-hours (16,000 gigawatt-hours) or the equivalent to 40% of New Zealand’s TOTAL annual electricity consumption. Demands on power worldwide are therefore likely to increase as the number of cryptocurrency miners increases. But what is the tax treatment of cryptocurrencies? Here’s where the weakness of the present ad-hoc approach to asset taxation is revealed. Are they within the financial arrangements regime? If so, then as the financial arrangements regime operates on an “accrual” basis, cryptocurrency investors may already have incurred substantial income tax liabilities even if they have not realised any gains. Fortunately, although Inland Revenue has not yet issued any guidance on the matter, my understanding is that it does not consider cryptocurrencies represent financial arrangements. But if the financial arrangements rules don’t apply and the cryptocurrency holder isn’t clearly a trader, what then? The best answer seems to be that gains will be taxable where either they arise from carrying on a profit-making scheme or undertaking, or from the disposal of property acquired for the purpose of disposal. This elaborate “It depends” is not an answer anyone sweating on a potentially significant tax liability wants to hear but is pretty much the current state of play. It reflects the unwillingness of policy-makers and politicians over the past 30 years to grasp the nettle and either introduce a comprehensive capital gains tax or apply something similar to the foreign investment fund regime’s “fair dividend rate” across all assets. Other jurisdictions such as Australia, the United Kingdom and the United States have been able to at least provide a measure of certainty by treating cryptocurrencies as falling within their respective capital gains tax regime. The United States Internal Revenue Service issued its guidance on cryptocurrencies in March 2014 and the Australian Tax Office ruled on the topic in December 2014. A capital gains tax regime has its faults but at least provides some certainty to the fundamental issue of whether a transaction is taxable. At present, New Zealand taxpayers are in limbo as we await Inland Revenue’s official guidance on the matter. The disparities between the tax treatment of residential investment property and that of KiwiSaver investors together with the lack of guidance about the status of cryptocurrencies, are symptomatic of the current confused approach to the taxation of capital gains. This undermines the claims that New Zealand has a coherent BBLR tax policy. The current ad-hoc approach is in my view unsustainable. Sooner or later, a government will have to take some potentially unpopular decisions and establish a consistent yet flexible approach to the taxation of capital. Properly designed and implemented, there’s no reason why such a move could not result in lower tax rates overall. But which party will have the courage to take that step? More to the point - will voters reward any party proposing such change? Only time will tell. So a 33% taxpayer buying say Apple shares will pay about 19 times more tax than a property investor. conveniently omitting rates from the calculation. nope, they are deducted from the rent (along with other allowable expenses) to give net taxable income. Rates are effectively a tax on the occupier, not the investor. In that case you should be listing "Investment property" (as opposed to owner occupied - which is the crux of the debate ). And there is the line for domestic/AU shares ? Another convenient omission. Paashaas - why so defensive? The obvious takeaway here is the property investors pay 9 times less tax than Kiwisaver investors based on actual tax received by IR. This is a gross imbalance in our "fair" tax system. The point is that you purport to provide a "comparison" - but in fact just cherry pick the most convenient examples . What part of 9 time less tax doesn't sound like an advantage to you? Can you read ? - it is an advantage - stemming from domestic vs overseas investment tax rules, across asset classes. This position is skewing investment into property over Kiwisaver so the comparison is fair. Why do you think so many people have investment properties for their retirement? Or the deposit holder example above that is paying 15 times as much tax on domestic investment? Or the local share market investor paying 4 times as much? Historically, it's taken crises of various stripes to provide the policy change window. As Rahm Emanuel had it - https://www.youtube.com/watch?v=1yeA_kHHLow - 'you never want a serious crisis to go to waste'. I guess we'll have to await the next one, wherever That comes from - six or nine years of tax-and-spend under Labour, perhaps? - to supply the incentive for the sorts of tax re-think this article is suggesting. Hopefully Labour's newly constituted tax working group will pick up the 2010 Tax Working Group output - update it - and actually implement the recommendations. Yet Labour in the 9 years before JK actually paid down the public debt and created a fund to keep future tax needs in check, highly irresponsible eh? Apart from the sheer inequity of effectively subsidizing landlords to compete against first home buyers, and the unfairness of the taxation system, my main issue with the outrageous system is economic. In Oz, where there is a reasonably balanced tax system, people aren't disincentivised from investing in the share market; hence it is about 20 times the size of the NZ market - with only five times the population. In NZ, investors get a tax credit and then freedom from CGT for investing in housing, which adds zero productivity to the economy, and zero export earnings. It's total economic suicide, and I only ever vote for political Parties that have policy to re-balance the tax settings rationally. When cryto goes POS the electricity issue will be sorted. Confusion all round. We also stuff up capital allocation decisions by encouraging borrowing over equity funding due to having a significant inflation tax, officially set at 2%, but subject to random variation between 0% and 20%. Okay, inflation may not officially be a tax, but it functions as such; the first spender, government, gets full value for its' new dollar when it is spent into existence; and the hapless bond purchaser gets repaid in currency units that buy significantly less. A simpler system with less smoke and mirrors and less room for arbitrary decisions by IRD officials would seem preferable. We weaken respect for our institutions at our peril. So with btc what's the taxation calculation on an extreme capital gain that is then lost to hackers. Is the gain deductible when lost/stolen? Is it from when the event took place or when it was discovered lost or based on the price they would be at year end? Which years end?